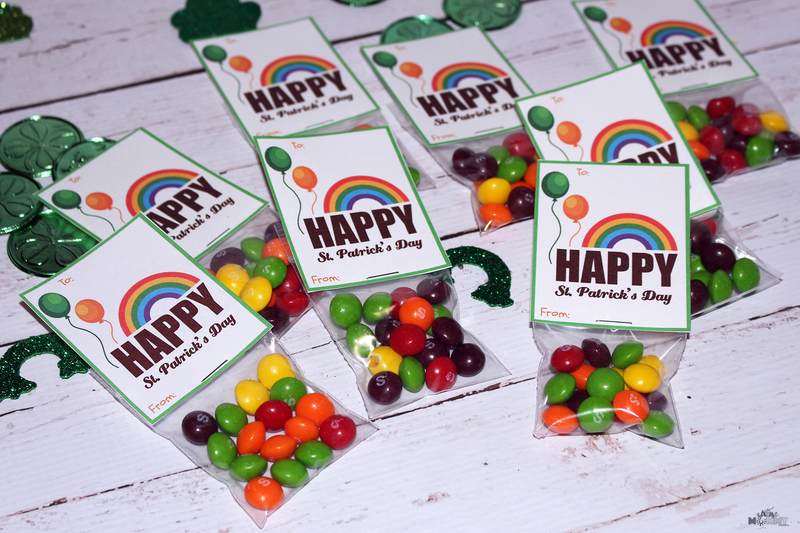 St. Patrick’s Day is right around the corner and one of my kids asked how we are going to celebrate. I looked at them and realized, We’ve never celebrated or done anything for St. Patrick’s Day before. One year we happened to be in part of town that had some sort of fest going on for St. Patrick’s Day but beyond that we’ve done nothing. Ava asked if we could do something fun for each other so I said sure and we got to thinking what we could do! We decided on treat bags, and Ava had a good idea thinking we could do something for Jackson’s class — This meant we had to make lots. So we headed to the dollar store to see what we could come up with! 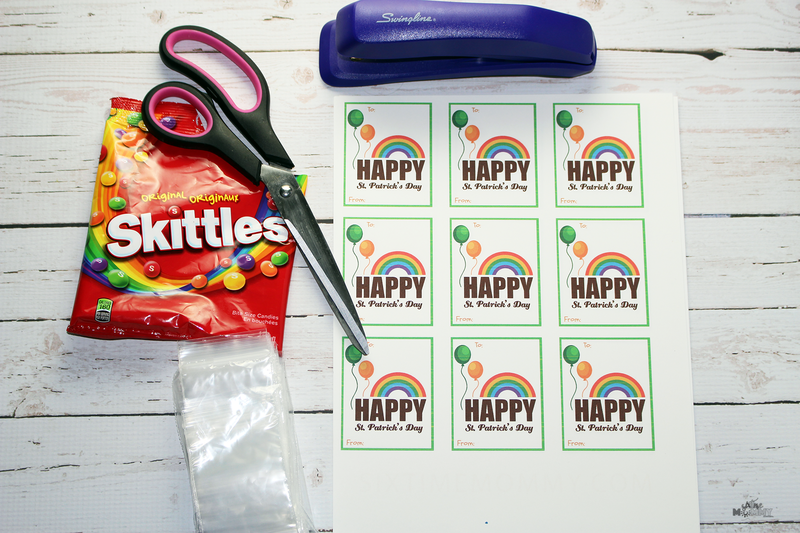 We picked up a big bag of skittles — $2, and a 35 pack of small baggies $1 plus had to grab a new stapler $1.50 so total: $4.50 and we were able to make 30+ of these. Here it is! 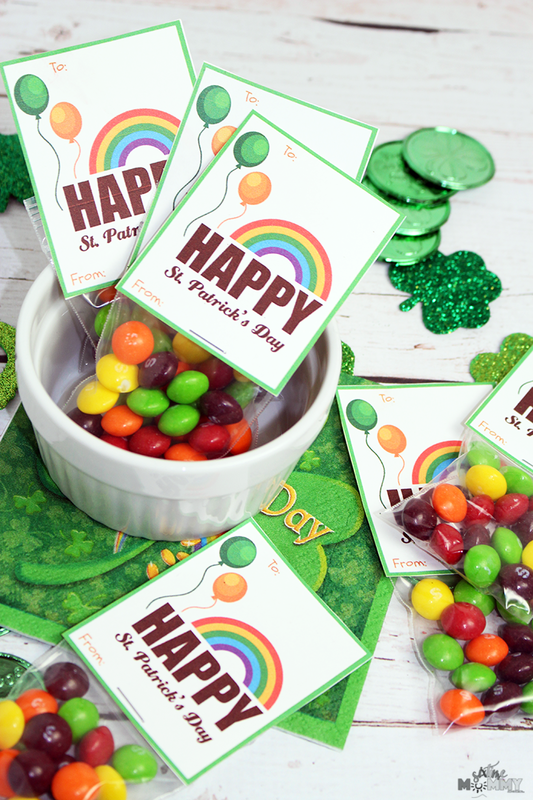 Rainbows are part of St. Patrick’s Day and Skittles reminds me of a rainbow (can you taste the rainbow)? So, it was only obvious we got skittles. I got home and got to work on a Printable and after a little snafu with the stapler and having to have my husband pick me up a new one before he went to work — the printable was done and looking oh so cute! My printer started to run out of ink with a couple of them but not a big deal! 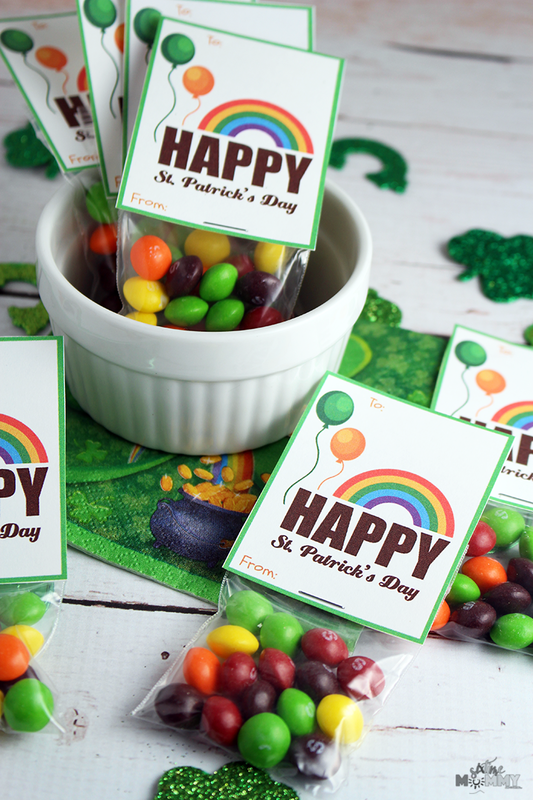 St. Patrick’s Day isn’t usually celebrated in school here so this is a bit different. But I think it’s a great idea, and kids will really love it! If it involves candy, they always love it. 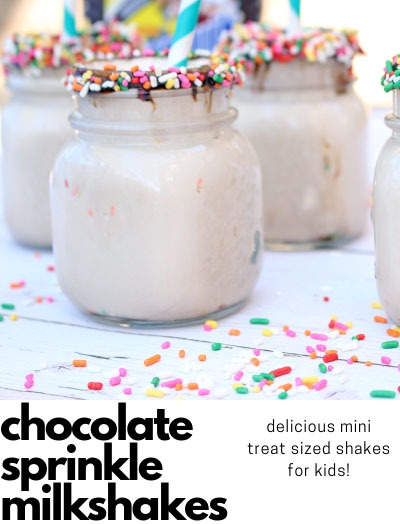 They turned out really cute, and I had a lot of fun making them with the kids! I remember as a kid going to all these fun places with my mom, and celebrating all these different holiday’s with parties and get togethers. Nothing really like that goes on anymore, at least not that I really hear. 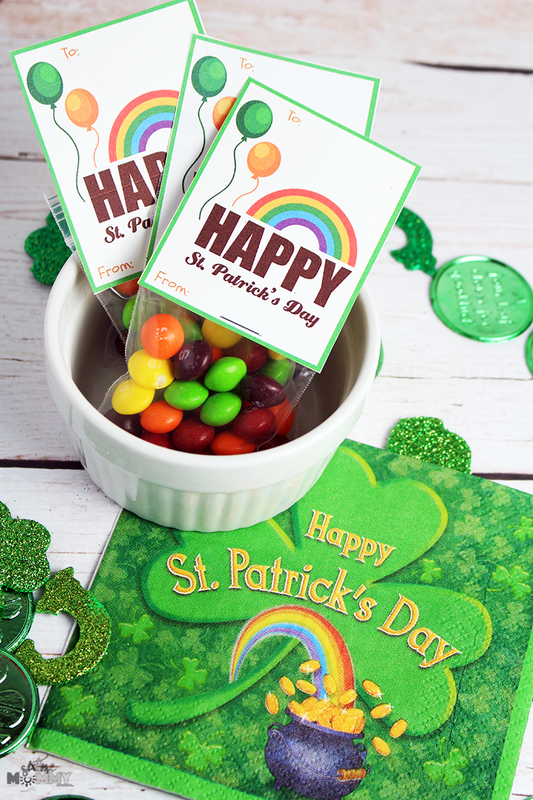 Jackson thinks St. Patrick’s Day is brand new — which it is to a 5 year old, he also think it’s named after him because his two middle names are Michael Patrick after my grandfather. There you have it! So quick, and so easy! 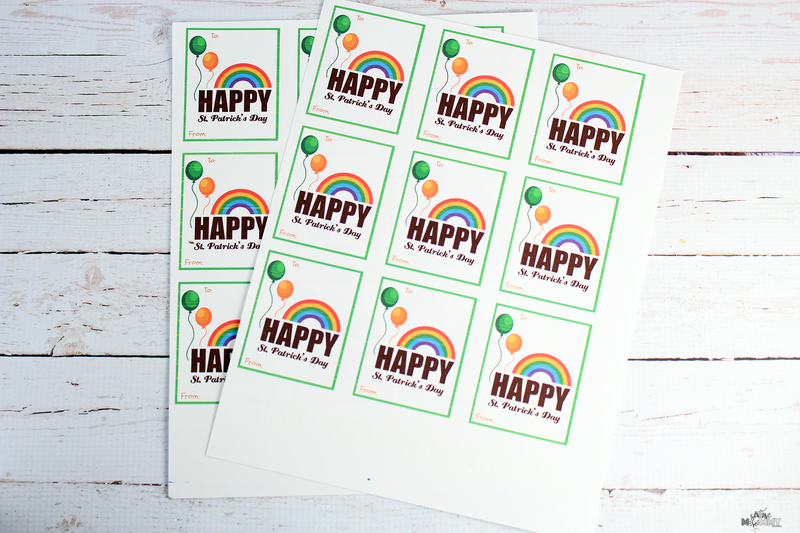 We had so much fun with these and they look SO cute, colourful and fun! I am now thinking of doing something similar for Easter which is also right around the corner, and am sure my kids will want to do something for each other then too (and maybe Jackson will want to do it for his class)! 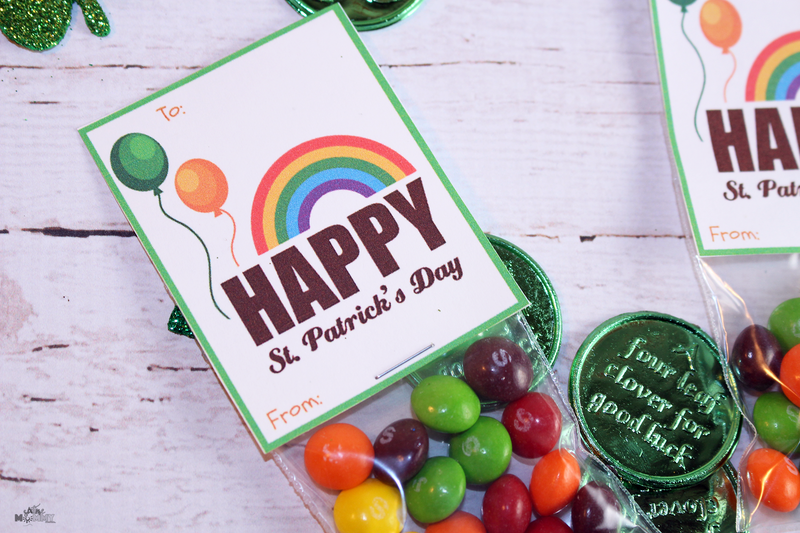 Do you do anything special for St. Patrick’s Day? What about having any traditions? 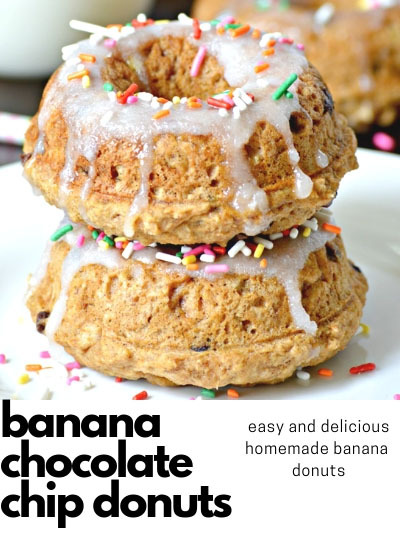 I think we may start making fun crafts, and class treats every year as the kids really seem to enjoy it. Right now we only have Jackson and Jordan enrolled in a school out of the home so we don’t really have to worry about having to do too many as it’s just Jackson who does this type of thing… We may need to make it a new tradition! 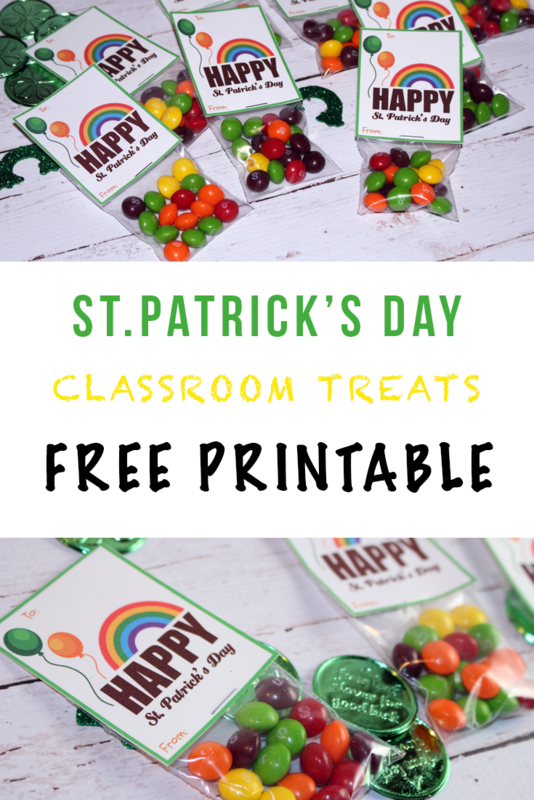 FREE ST. PATRICK’S DAY CARD PRINTABLE! DOWNLOAD YOUR FREE PRINTABLE — HERE.